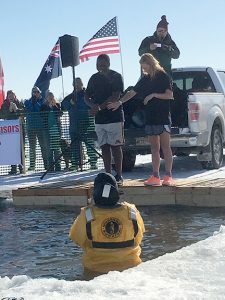 Bemidji, Minn.— When Bemidji State University graduate student Alex Kong’a first heard about people willingly jumping into the frigid lake for the Brrrmidji Polar Plunge, he thought it was a crazy idea. But his fiancé Shelby Harden didn’t think it was so crazy. Harden, who’s from Alabama, was curious about the idea. She never thought it was possible to walk on a frozen lake, much less jump into one. With a little persistence, she convinced her fiancé Kong’a, who’s from Kenya, Africa, to make the jump together. Kong’a was reluctant, but made the commitment to jump out of love for his fiancé. “I’m doing it for my girl,” he said. “He doesn’t have a choice,” Harden joked. 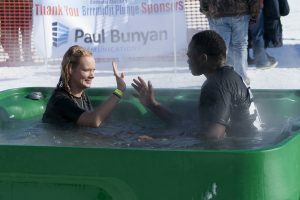 Their story was one of many at the Brrrmidji Polar Plunge, held roughly 60 yards off shore from Paul Bunyan Park on Saturday, Feb. 10. By the 1 p.m. start-time, 42 plungers, each with their own unique reasons, had signed up to jump into the 9 x 9 ice hole. The temperature outside was 10 degrees, while the water averaged 25 degrees. 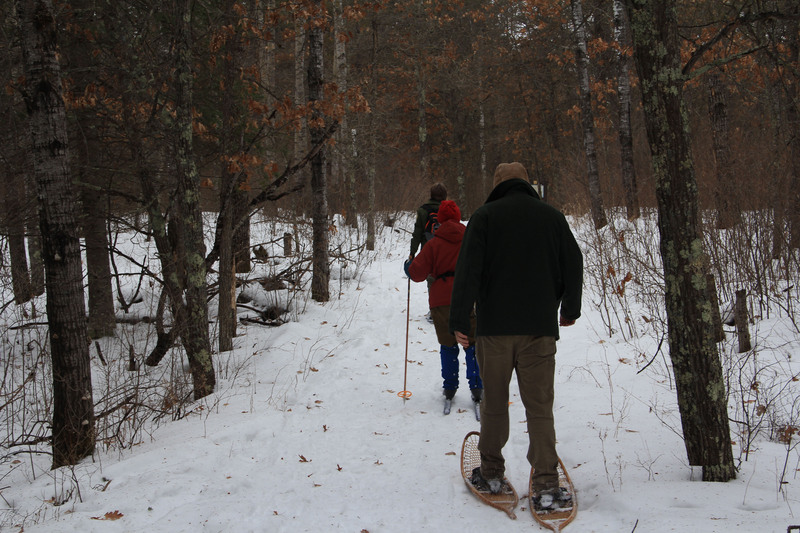 The Bemidji Jaycees, along with other sponsors, hosted the event, prepared the ice, provided the staffing and awarded prizes. 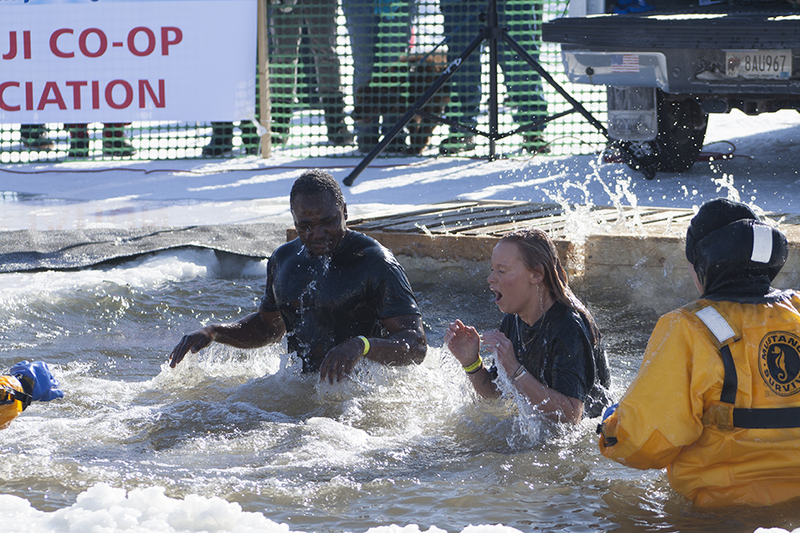 Plungers paid a minimum $50 registration fee and also raised pledges to sponsor their cold-water stunt. 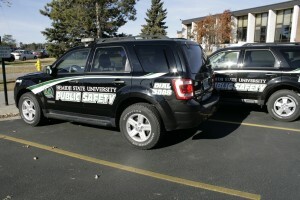 Proceeds raised from the event will benefit The Northwoods Battered Women’s Shelter, Support Within Reach and BSU’s American Indian Resource Center (AIRC). 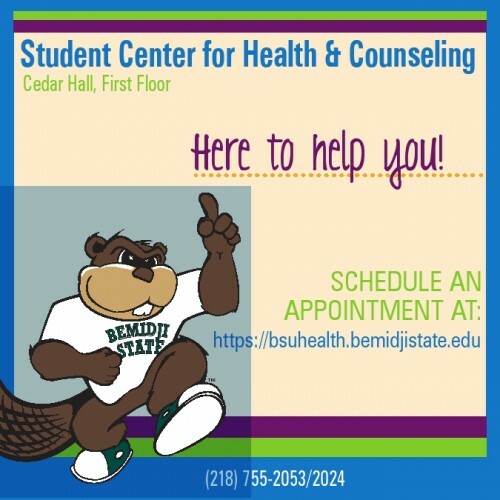 The AIRC and Northwoods Battered Women’s Shelter was close to heart of one plunger, Veronica Veaux, assistant professor of business at Bemidji State University, who jumped with her daughter, Charity Veaux. Another parent-child team plunged together too. Chris Eck and his son Caden intended to plunge together eight years ago, but Caden was sick and they were unable to jump as a team. The two finally checked that off their bucket list today. Around 100 people gathered around the plunge site to watch and support the plungers on the chilly, yet sunny day. Thirty-four flags surrounded the site, recognizing locations past plungers have come from. There were 20 state flags and 14 international flags. Kong’a and Harden said that during the first five seconds after hitting the water, they questioned why they did it, but once they got to the hot tub they were glad they experienced the Minnesota tradition. The two plungers, originally from warmer climates, high fived each other as they crossed plunging off their bucket list, knowing two new flags would fly high at the plunge site next year.